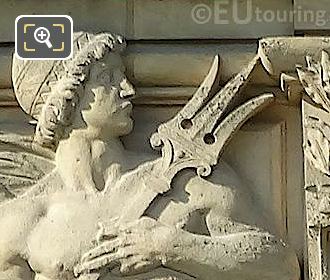 We were at the Musee du Louvre in the 1st Arrondissement of Paris, when we took these high definition photos showing a bas relief on the Aile de Flore, which was sculpted by Charles Gumery. 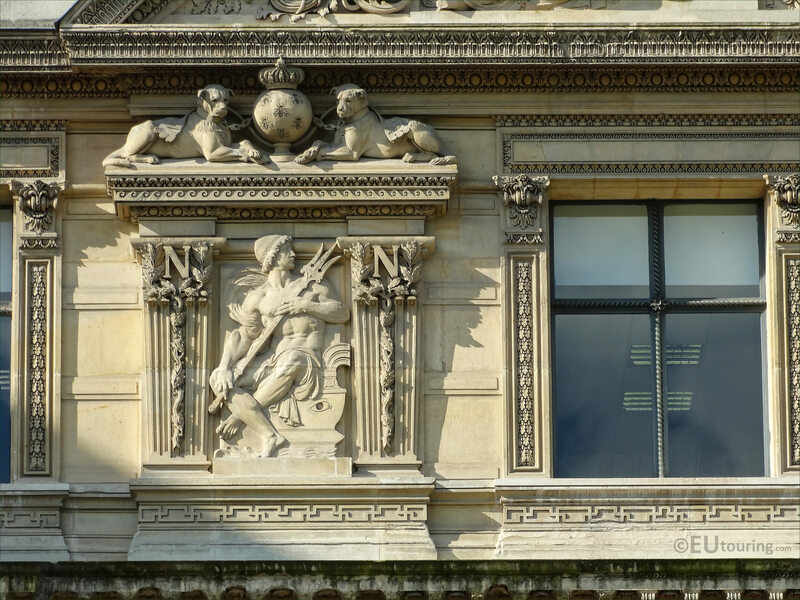 This first HD photo shows a bas relief, which in English translates to low relief as an architectural term relating to the type of sculpture, and this is positioned between the windows on the third level of the Aile de Flore. 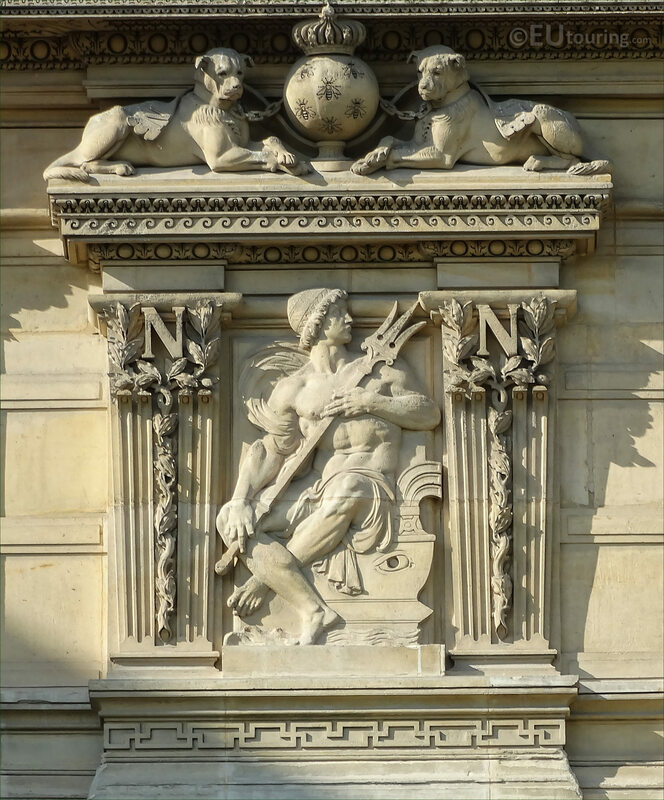 So when you are looking at the facade of this wing from the courtyard of the former Palais du Louvre called the Cour du Carrousel, you will see that this is one of the two sculptures underneath the second pediment that was put in place in the 1860s. Now this bas relief was produced by Charles Gumery who was born in Paris in 1827 with a full name of Charles Alphonse Achille Gumery, and entering the Ecole des Beaux Arts studying to become a French sculptor under the guidance of Armand Toussant, he won the Prix de Rome in 1850. Charles Gumery received numerous commissions from the French state and the City of Paris to produce statues and sculptures for different tourist attractions, which included no less than five for The Louvre, along with others for places such as the Jardin Marco Polo and two ornate monumental gilded statues adorning the Palais Garnier Opera House.